To get things into perspective the Royal Enfield Classic 500 costs $5699 in the United States, a mere 300 dollars or Rs 21,000 less than the bigger 650. This got us thinking about how would it stack up against two of its main rivals, the Triumph Street Twin and the Harley Davidson Street 750. In the United States, the Street Rod costs $7,599 while the Triumph Street Twin costs $8,950, so its quite evident that the Enfield manages to undercut its rivals in the U.S.
From an Indian perspective the big difference between them starts to arise in terms of price, as most other bikes attract import duties and are significantly more expensive than what they cost in the US. While the Triumph is the most expensive of the three at Rs. 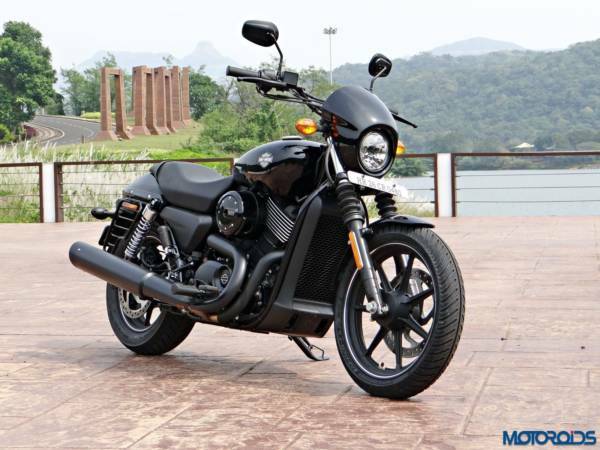 7,83,000/- lakhs ex-showroom, the Harley comes in at a whole lot more affordable Rs. 5,59,000/- lakhs ex-showroom. In comparison, Harley Davidson and Triumph cost a lot less in the United States than in India, but if the Continental GT 650’s prices are anywhere near the prices announced in the U.S, even at its most expensive which is Rs. 4,90,000/- lakhs ex-showroom, it will massively undercut its competition granting it a much better margin. Again to put things into perspective the Royal Enfield Classic 500 costs Rs. 1,84,000/- ex-showroom in India. So even with a generous increment in price, where the margins aren’t compromised and Royal Enfield pricing it at Rs 3 – 3.5 lakhs, it would still be phenomenal value looking at its engine and output. The prices aren’t announced yet and it will be rather interesting to see how Royal Enfield prices its new 650 twins once they launch it in the Indian market. 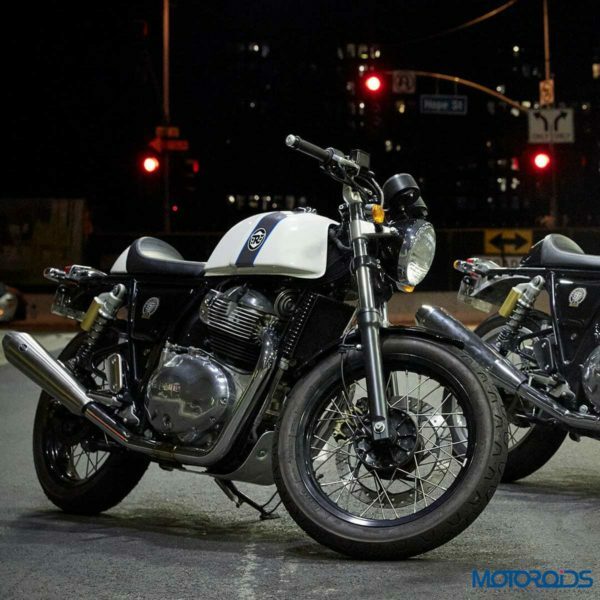 In terms of engine and their configuration, all of three motorcycles are twin-cylinder motorcycles, while the Continental GT 650 makes about 47 bhp of power and 52 Nm of torque, it still falls short to the competition. The Street 750, on the other hand, also makes 47 bhp of power but slightly more torque at 59 Nm, comparatively the Street Twin makes the most amount of power and torque at 54 bhp & 80 Nm. The Triumph Street Twin has the biggest and meatiest engine of the trio coming in at 800cc with its parallel twin, the Harley Davidson Street 750 follows with a (you guessed it) 749cc v-twin and the Royal Enfield Continental GT 650 coming in the smallest with its 648 cc parallel twin, but is bigger always better? 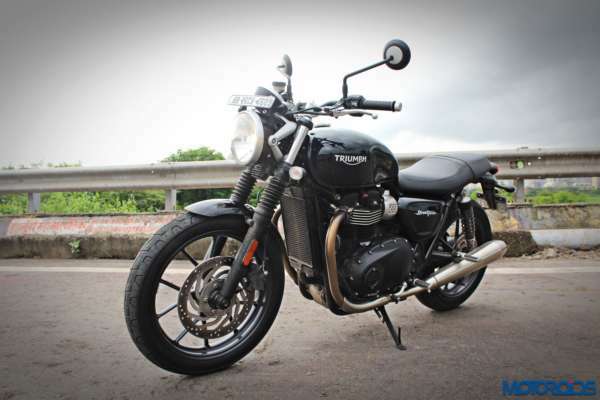 Turns out not really, while the Harley is the heaviest of the lot at 233kgs, the Triumph follows at 225kgs while the Royal Enfield is the lightest weighing at just 198 kgs. Obviously, this does play an important role in terms of agility and power-to-weight ratio and will affect acceleration times too. Nevertheless, performance though may be an important aspect but isn’t the aspect prioritized when it comes to these motorcycles. Another aspect that may sway your opinion is fuel capacity, fortunately, all three of these motorcycles have tanks that range from between 12 to 14 litres, so it would hardly make a difference between whichever one you chose. When it comes to braking, all 3 motorcycles have similar disc sizes with the difference in braking coming mainly from the choice of the brake calliper and its configuration. The Continental GT 650 has a 320mm disc in the front while a 240mm disc at the rear, while Harley’s Street 750 has a 292mm brake in the front and a 260mm disc at the rear, the Street Twin sits in the middle with a 310mm disc at the front and a 255 disc at the rear. All three motorcycles come with single disc setups at the front along with dual channel ABS. With its mouthwatering price, RE’s heritage and fan following, and the positive first reviews of the 650 twins, it seems that the world’s oldest surviving motorcycle maker is out to begin a new inning with a blast. The proverbial cat, as it appears, will soon be set among the pigeons. Sparks will fly!